and raking in the commercial benefits through its partnership with Coles. The site, unveiled last week, has secured Woolworths as its exclusive retail partner. The deal will see consumers able to buy directly out of Seven TV shows Better Homes and Gardens and Zumbo’s Just Desserts. It will also allow brands to integrate with the e-commerce offering. “Woolworths has been a long standing customer of Pacific Magazines. We’ve done a lot of work with them across our food portfolio, so it was a great opportunity to work with them and their agency, Carat,” Cox says. The commercial opportunity was reflected in Foodiful’s launch strategy, which was put in place five months ago. Cox says during this time, Seven West Media saw significant interest from advertisers, which are to be announced shortly. “A lot of our strategy was to go-to-market early and understand what clients were looking for. Rather than looking at the consumer facing side of the site, we looked at how we could make Foodiful a marketing solution for our partners,” he says. Despite MasterChef’s lucrative deal with Coles, Seven’s hit show MKR will not be merged with Foodiful. Cox says Seven West Media has its own strategic plan for MKR this year, which is yet to be announced. Seven West Media’s decision to launch a digital-only food title, Foodiful, is “unashamedly” commercially driven, says Pacific Magazines commercial director Prue Cox. Foodiful launches with a $6 million media/marketing spend and coincides with the Rio Olympics launch. The title will be plugged throughout Seven’s Olympic broadcast and in the stable of Pacific Magazine titles, such as New Idea and Diabetic Living. Cox believes other brands in the market lack personality and Foodiful’s differentiating characteristic will be the way it uses personalisation and innovation. 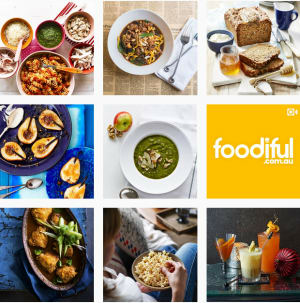 Foodiful has already been likened to the format of NewsLifeMedia’s Taste.com.au in both its content and its relationship with a supermarket giant. Taste has stood unchallenged as the leader of the food magazine category, taking over Woman’s Day as the most read publication and raking in the commercial benefits through its partnership with Coles.